The Green Dragon is a pub that takes its inspiration from the beloved “Lord of the Rings” and “Hobbit” series. It offers followers a “True Hobbit Experience.” Art director and venture manager, Brian Massey headed the construction of the Green Dragon Pub, with a team of 80 laborers in adding the themed attraction to the beautiful Hobbiton. The Green Dragon is decorated with precise details to recreates the look and feel of the same drinking establishment as in The Lord of the Rings films. Hobbit village, located near Matamata, was built in 1998 as a set of the films; by Peter Jackson and New Line Cinema. WingNut Films art director and Green Dragon project manager Brian Massey supervised the construction and meticulous decoration. 300,000 people have visited Hobbiton over the past decade, and the number has increased drastically after the release of “Hobbit: The Unexpected Journey.” The pub was opened to the public in late November 2012 after New Zealand Prime Minister John Key conducted the ribbon cutting ceremony. Hobbiton Board director and New Zealand Tourism Supervisor George Hickton have stated that the establishment may be converted to allow for overnight stays to attract more tourists and provide them with convenience to enjoy the Hobbit lifestyle. Leamington Tavern was established in 2012. It offers TAB dining, SKY TV, outdoor areas and a lovely open fire. It is rightly nicknamed the ‘FIVE STAGS’ as it features five impressive stag heads on the wall right above the bar that steadily view the scene below. The Leamington tavern has a hunting lodge theme that makes one want to sit by the fire and relish a hearty meal. It offers a broad range of menu items from wild boar to venison burgers and a separate children’s menu. Distinctive features of the new concept pub include columns which are exposed and integrated into life-like trees, a detached hunter’s cabin and full-sized duck shooter’s Mai Mai. The Patriot is located in the heart of the village and is the only British-themed pub in Devonport. It is situated in the historic building of the Bank of New Zealand with its original safe vault still in place. One can soak up the ambiance while sipping a pint or drinking a fine glass of wine. The Patriot also provides a wide variety of beers, spirits, wines and soft drinks which one can be enjoyed by the warm fire during winters or in the expansive beer garden or covered verandas in the summer; guaranteeing a memorable experience all year round. It plays Live Music on Thursdays and Saturdays, has a Pub Quiz on Tuesdays and displays all big sporting events Live on their big screens for visitors to enjoy their time at the Patriot. Four Kings are Wellington’s biggest sports pub, with 32 LCD projection screens and three enclosed booths. Four Kings is a multi-level casual eatery as well as a brew house situated in the heart of Wellington’s CBD. With over 70 plasma and LCD projection screens, Four Kings specializes in providing an excellent standard to deliver the experience, high quality, and services. The Four Kings is everybody’s dream sports pub with state-of-the-art TAB and gaming facilities which complement the particular 32 projection screens. The bar is built for comfort and ease with 15 Lazy-boy recliners that one can settle back in and check out a match or race. There usually are three surrounded booths (each consists of its LCD screen) that one can tuck oneself away along with some friends and enjoy. There are lots of different TV sets and ‘Sound Zones’ so you can choose what you want to watch. 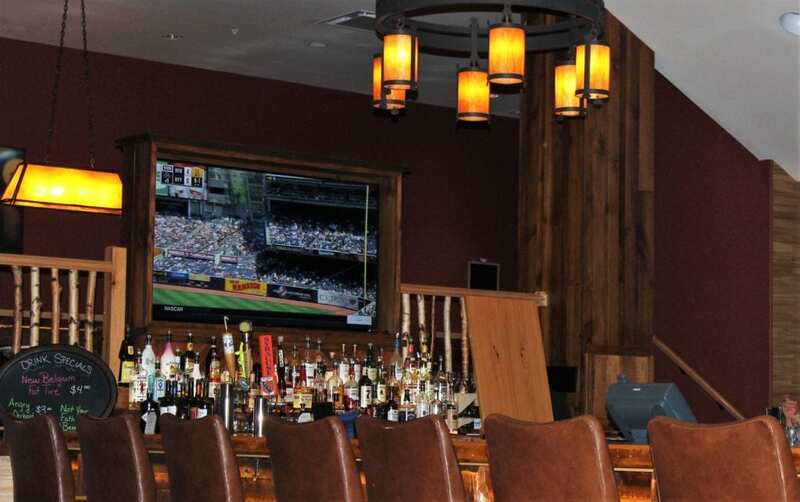 The 4 Kings Lounge could be the ultimate sports bar for sports fans. Four Kings is also a major sponsor of the “Wellington Century City Saints” basketball team, and throughout the season one can run into players when they dine in at Four Kings after home games. The Riverhead, 153 years of age, can be considered as New Zealand’s oldest riverside tavern in addition to having New Zealand’s second oldest liquor license. The Riverhead has been home to refreshments and conviviality. 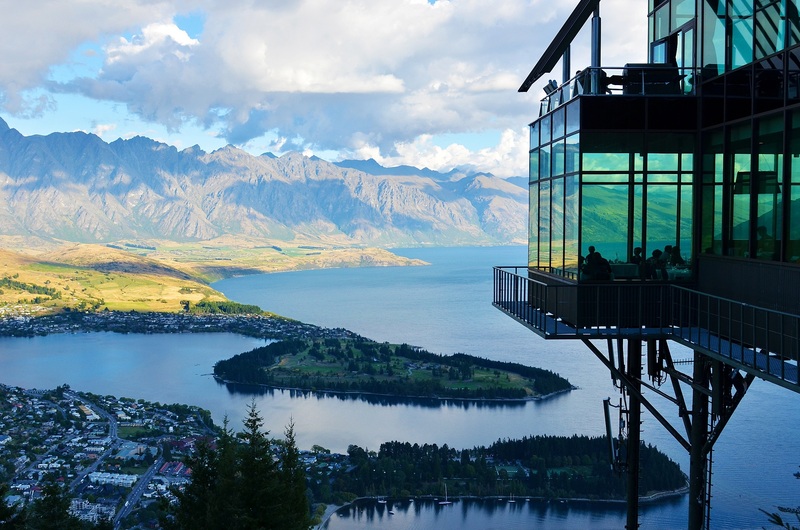 Having been recently renovated, the focus has been shed upon providing the local community a meeting place and welcoming the tourists and local families to dwell in the fresh New Zealand food with a knack, local wines, great beer, and coffee. It can be seen as a venue for a distinct and attractive destination for different interest groups. The vast lawn under a historic oak tree overlooks a creek and has been a desired place for weddings and gatherings for over a century. The Riverhead along with its history and traditions has been restored recently by owners Paula and Stephen who have reinstated this iconic establishment with a remarkable fashion. The pubs mentioned above are not just merely pubs, they are a unique experience that one must NOT miss out on while they visit New Zealand. 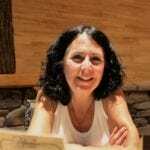 Author Bio – Sahiba Sadana is a content writer, well-versed in SEO writing. Her works have appeared on Business Town, The Business Woman Media and other leading dailies. The English post graduate is a Sherlock Holmes fangirl. You can read a recent article by her on drones at The Absolute Reviews. The Parisian history lesson begins from the moment you open her book. 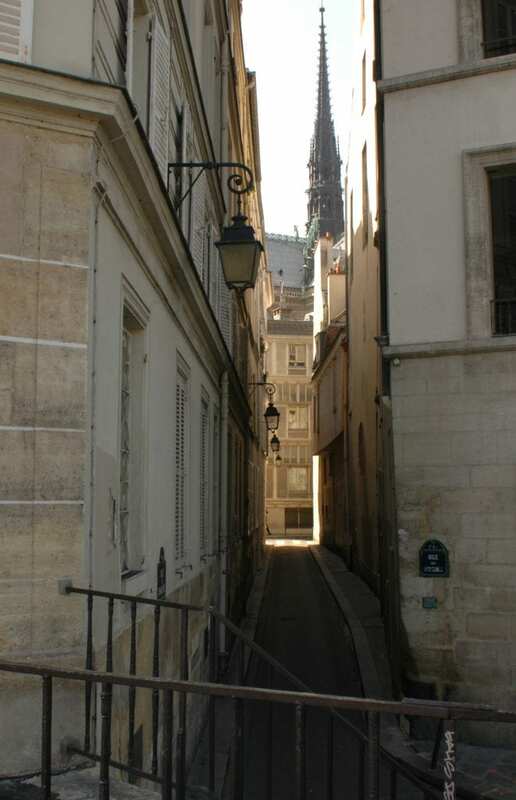 Whether you’re planning a once-in-a-lifetime trip to the City of Light or you have a thirst for French history, Cahill walks you through the romance and sometimes tumultuous streets of Paris from the Middle Ages to the present (800 years). Paris is often considered to be one of the most romantic cities in the world. Lovers, Heloise and Abelard; Louis IX, Robespierre’s victim, Albert Camus, Edith Piaf and Henri IV are among the 22 famed Parisians she profiled in her 276-page guide. 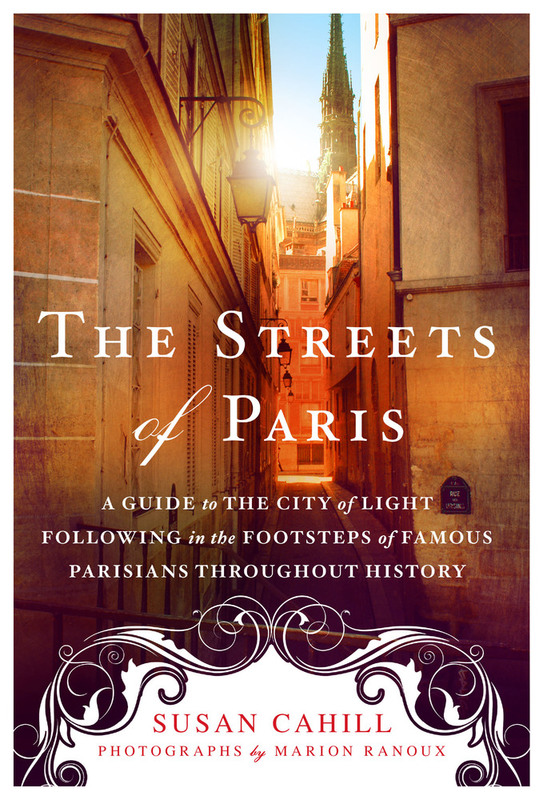 The Streets of Paris is one of five travel books Cahill has published. 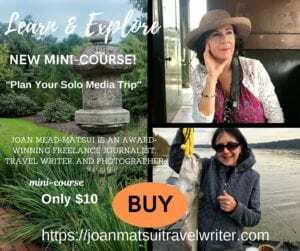 You can find more information about “Hidden Gardens of Paris,” “The Smiles of Rome,” “Desiring Italy,” “For the Love of Ireland,” and “A Literary Guide to Ireland” (with Thomas Cahill) at http://www.susancahill.net/books-list. 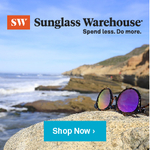 Some of the links on this page are affiliate links. I will earn a commission if you decide to make a purchase but at no additional cost to you. I have experience with all of these companies and by linking to their product or a party that sells their products, I recommend the product based on their helpful and useful nature, and definitely not because of the small commissions I make if you decide to buy something. Do your plans include an overnight stay in The City of Brotherly Love? 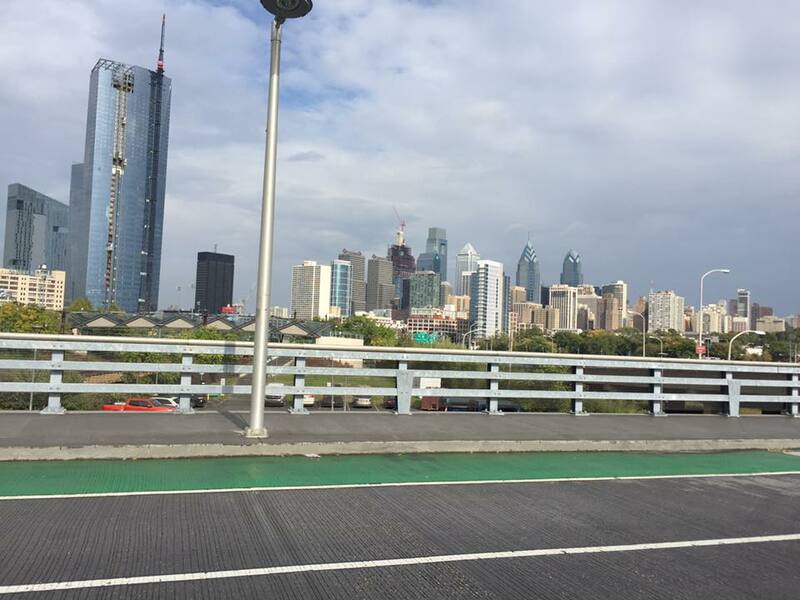 historic Philadelphia’s skyline is a mix of architectural elements and styles. By far, Philadelphia is one of my favorites cities to visit. “The City of Brotherly Love” tugs at my heart. Whether you choose to take in the sights on foot or perched on a streetcar, be sure to detach from your electronic devices long enough to appreciate the modern and historic buildings that line Philadelphia’s wide streets. Keep your camera close by because there’s something for everyone, whether you’re tuned into people watching or architecture. 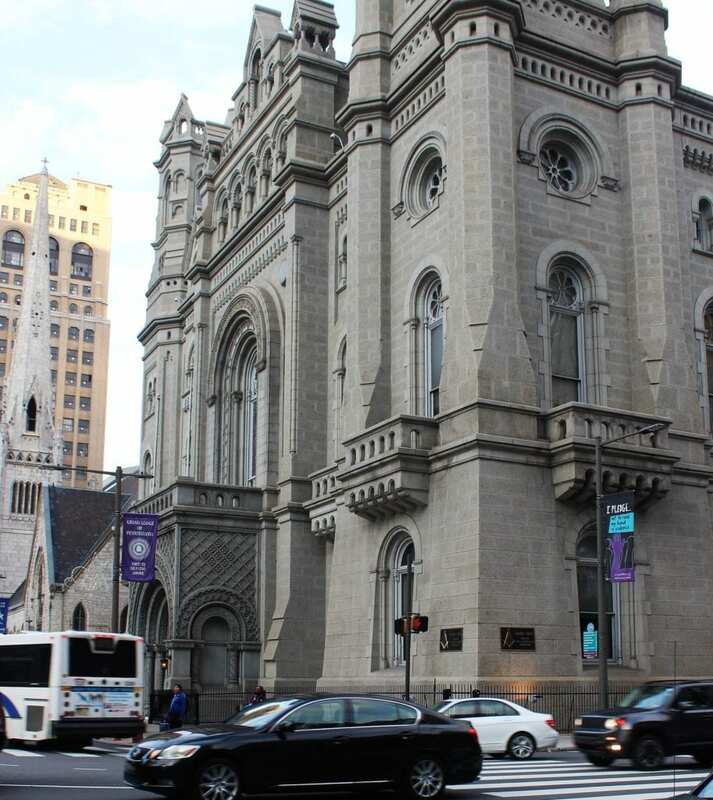 Philadelphia offers an array of stunningly beautiful architectural gems. 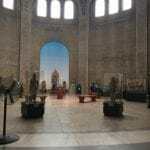 You’ll find a list and descriptions of Philly’s treasures here and a rundown of the Top 10 Historical Buildings in Philly. Are you aware Philadelphia’s history dates back to 1682? I also learned something new while researching the city’s rich history. Philly and I share a birthday. William Penn founded Philly on October 27 to serve as the capital of his Pennsylvania Colony. According to http://www.ushistory.org/us/4c.asp, Penn aimed to draft a plan for the city that left the horrors of crowded European urban life behind. Learn more about historic Philadelphia here. What makes Philly unique from other metropolitan hubs? History abounds on the streets of Philadelphia, with miles of historic and cultural icons you won’t want to miss. 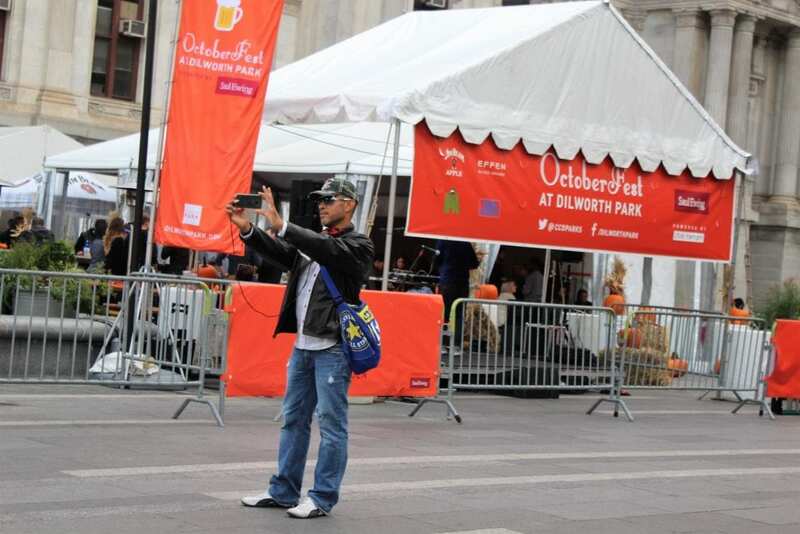 Don’t forget to bring along your camera (and selfie stick) so you can capture every photo op. 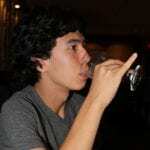 All photos by Joan Mead-Matsui. 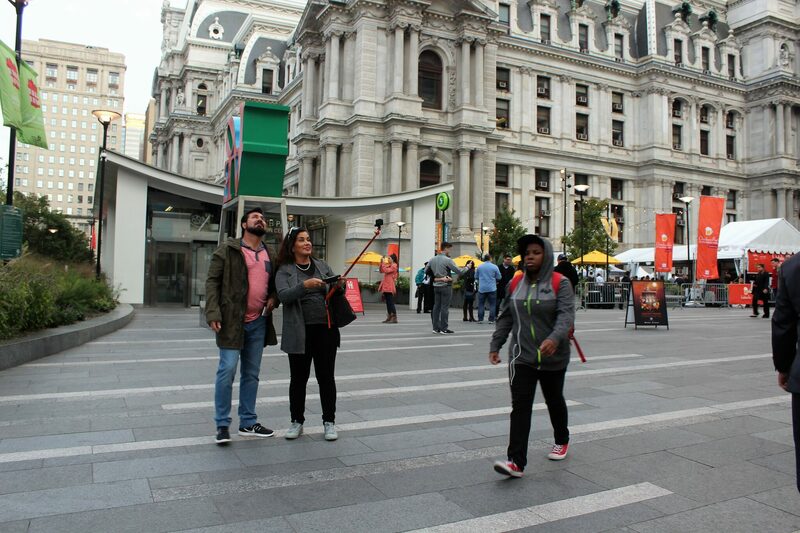 Whenever possible, take your cue from residents and guests – a walking tour of Philadelphia is one way to see the sights. You’ll be tempted to pause often to glance into storefronts, read menus or stop for a bite to eat at one of the many restaurants. 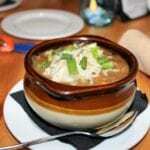 According to tripadvisor.com, Philly offers 3,698 restaurants. That’s foodie heaven. You can find the best deal, compare prices, and read what other travelers have to say at TripAdvisor. Get your dose of Philly here. The extra wide streets are a breeze to navigate. on the University of Pennsylvania campus, with Pam Kosty, public relations director, as our guide. You’ll be captivated by the artifacts and art from around the world. 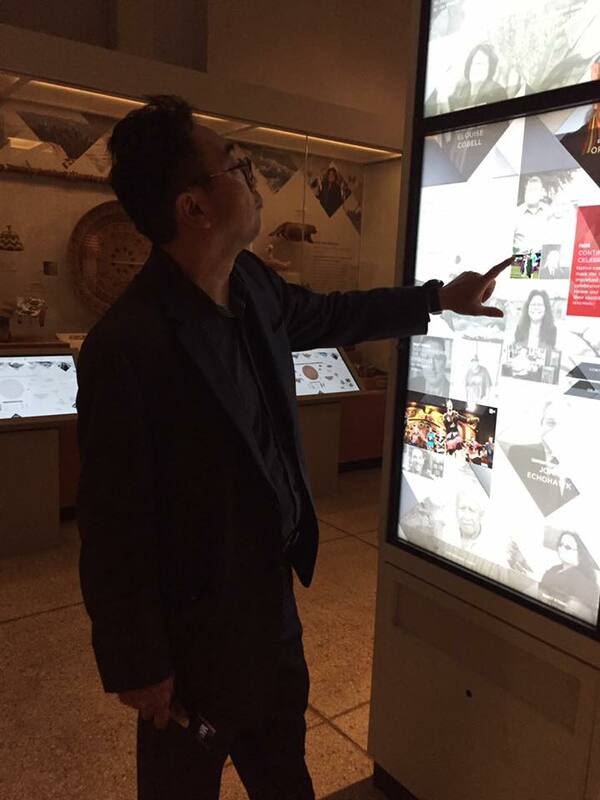 Kunihiko Matsui, AIA, marveled at the distinctive architectural elements throughout the museum. 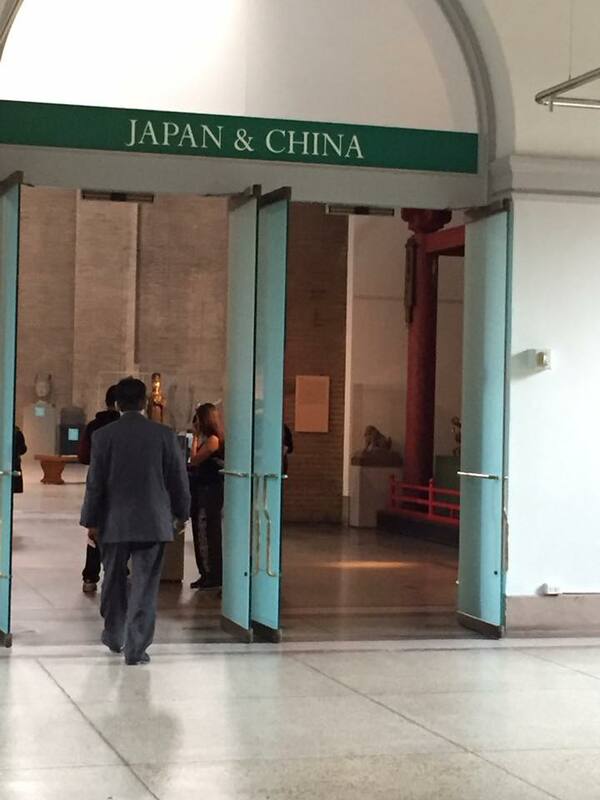 Of course, the Japan gallery was a must-see for this Kyoto native. Stroll the University of Pennsylvania campus and you’ll soon discover why this Ivy League school is regarded as one of the world’s most respected research and teaching institutions. Penn Museum, located on the campus, was our first stop upon our arrival in Philly. Both the interior and exterior of the building are enchanting and representative of an enlightened society eager to promote the arts and sciences. The museum in College Hall was formally opened to the public January 2, 1890. Create your own signature learning experience as you celebrate the incredibly diverse artifacts and art displayed and intermingled with hands-on learning tools. If you’re fast-tracking your way through Philly and you’re short on time, you can view each of the exhibits in two to three hours. 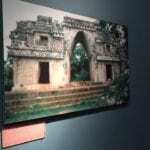 You can also expect to find many objects on display that originated from university-led archaeological excavations and anthropological expeditions. Stone tools, household items, monuments and yes, fine art, are among the treasures you’ll see. When you think of archaeology and anthropology, what comes to mind? 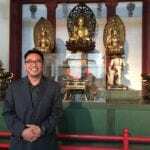 Truly, both disciplines are a celebration of mankind and our world’s diverse cultures. The interior space houses 11 signature exhibitions: Egypt (Sphinx), Egypt (Mummies) Gallery, Africa, Canaan and Israel, China, Etruscan Italy, Greece, Rome, Japan, Mexico and Central America galleries; space dedicated to special exhibitions, and a cafe that features tasty, authentic food from around the world. I chose an Indian dish that was delicious. Click here for an updated list of special exhibitions or to purchase tickets to the museum. Museum hours are Tues to Sun., 10 a.m. to 5 p.m. and 10 a.m. to 8 p.m. on the first Wednesday of each month. Admission is $15/general adult, $13/senior citizens (65 and above), and $10/children 6 to 17 and full-time students with college ID. Museum members, active U.S. military personnel, children 5 and under and PennCard holders (Penn faculty, staff and students) receive free admission. 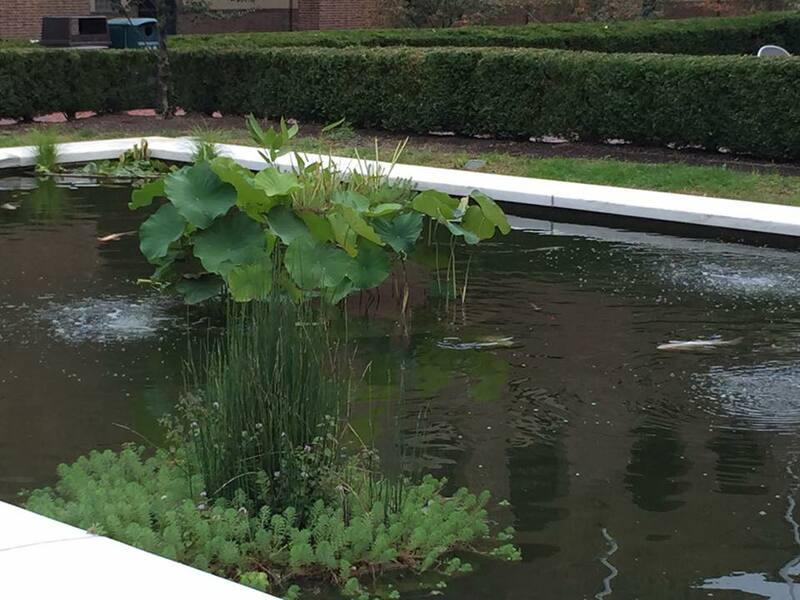 Flanked by a lovely courtyard, koi pond and seating area, the lawn is a respite where students, staff and museum guests can take a coffee or lunch break, amidst the soothing sounds of trickling water. One student takes a few minutes of quiet time. 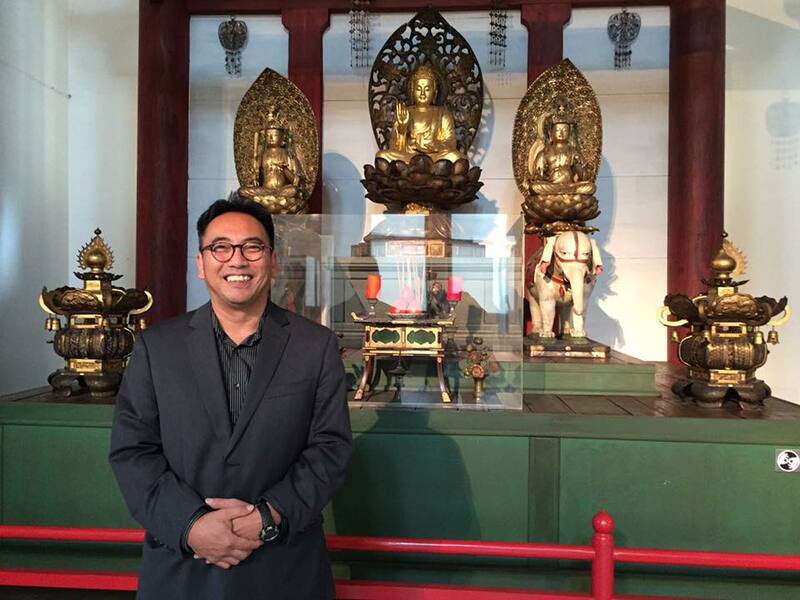 Kunihiko Matsui, AIA, was delighted to see an authentic shrine within the Japan exhibition. The rotunda is a grand space. Artifacts and art are thoughtfully displayed. Our next stop was check-in at the incredibly hip Sonesta Downtown Philadelphia. 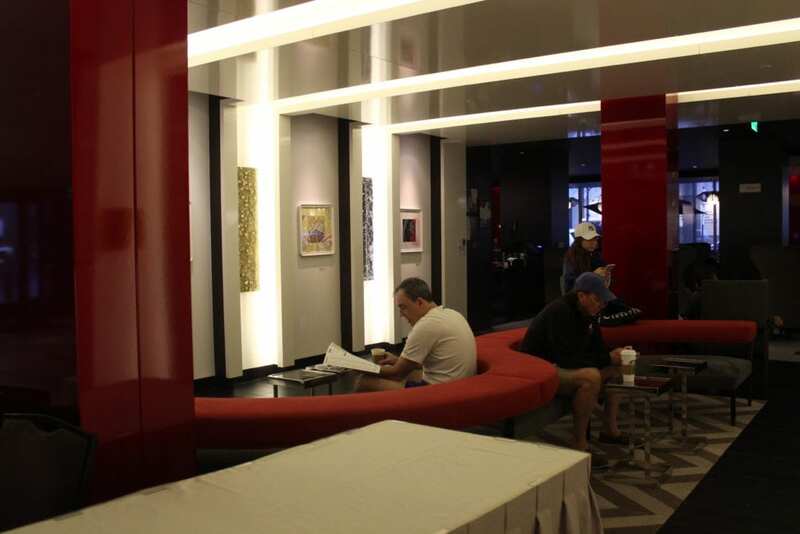 View the original art of Philadelphia’s fine artists and craftsmen in Sonesta’s lobby. The exhibit is updated every six months. Hotel guests in need of information should consult with the concierge. Art created by Philadelphia artists and craftsmen is the focal point in the lobby of Sonesta Philadelphia Rittenhouse Square. 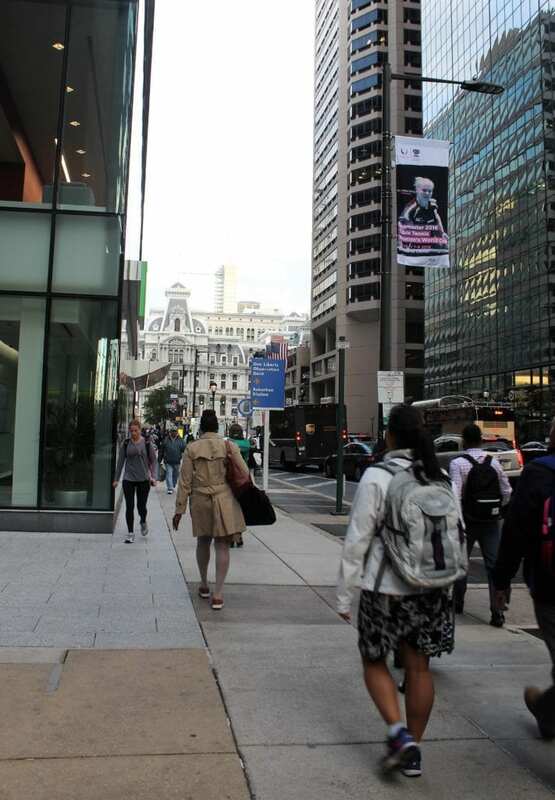 Sonesta Rittenhouse Square is centrally located downtown at 18th and Market Streets in Center City, and only a short distance from a multitude of attractions. 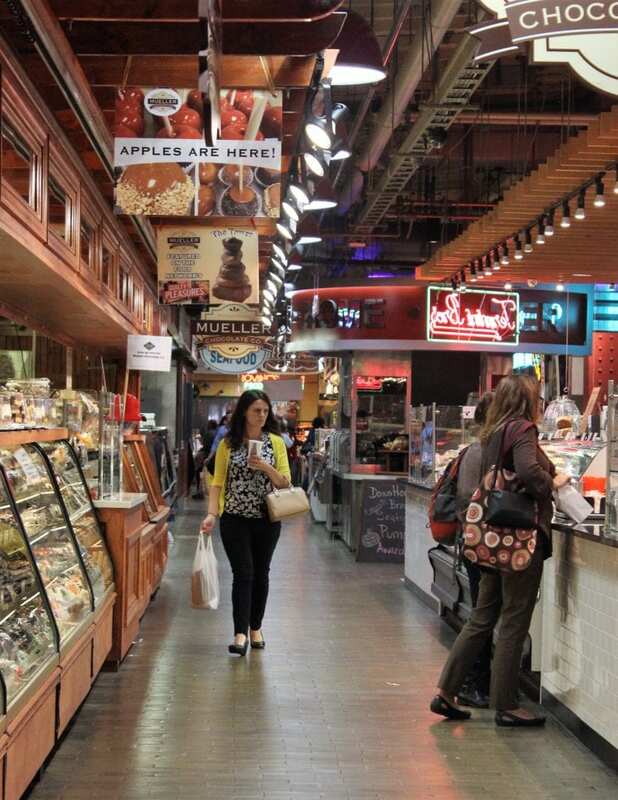 Whether you and your spouse are on an overnight getaway or you’re traveling with children, I guarantee you won’t want to miss the historic Reading Terminal Market. Whatever taste bud you hope to satisfy, you’ll find a selection of baked goods, meats, poultry, seafood, and produce. Other vendors also carry flowers and cookware. The Reading Terminal Market has been open to the public since 1892. What’s your hankering? As 5 p.m. rolls around, and particularly after hours of sightseeing and walking, why not try one one of historic Philadelphia’s newest restaurants? As we approached the restaurant around dusk, the large shutters on the second-floor windows were wide open. I could see diners engrossed in conversation and candles gently flickering. The entrance-way was bursting with activity as guests sipped cocktails, wine and beer. Happy hour was in the works. The Butcher Bar, 2034 Chestnut St, offers a lunch, brunch and dinner menu that will leave the meat lover’s mouth watering. I can still recall my reaction to one of our appetizers, a slab of bacon. “Oh, this is incredible – tender and juicy.” Words cannot describe this delectable creation. 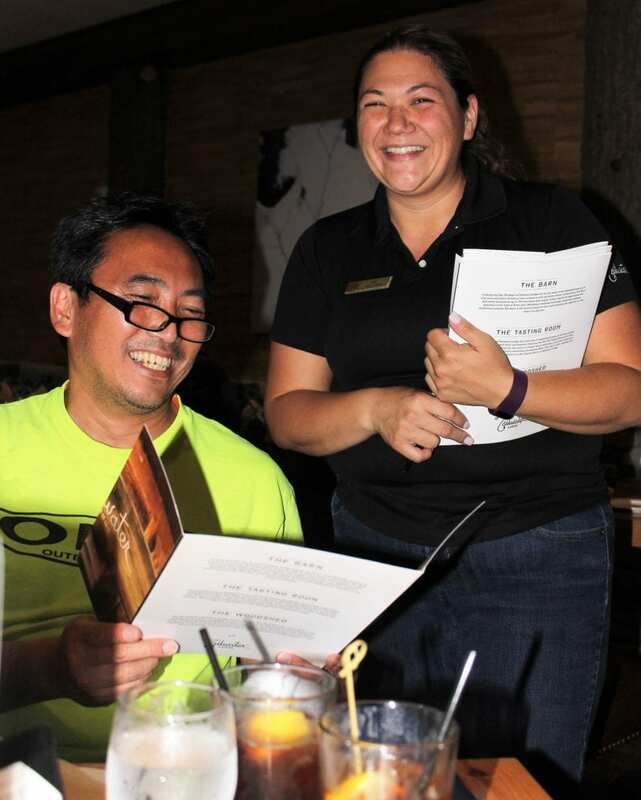 Kunihiko Matsui and I sampled a variety of menu items. The bar features 16 beers on tap, 6 draft wines, and a whiskey-based cocktail program. You should absolutely make reservations. View the menus here. Before leaving Philly, The Eastern State Penitentiary was our final stop as we prepared to leave the city. Over the years, I’ve heard rave reviews about the Eastern State Penitentiary, but since most of my trips to Philadelphia have been brief, I’ve never found the time to visit. Regarded as “one of the most famous and expensive prisons in the world” and the world’s first true “penitentiary,” the ruins are bone-chilling and captivating. My overall opinion is the crumbling walls, empty prison yards and dimly lit hallways all speak of the lives of the inmates who called the Eastern State Penitentiary home. They are haunting as much as they are thought-provoking. Notable residents were “Slick Willie” Sutton and Al Capone, who were among some of America’s most famous criminals. A masterfully created one-hour hands-on audio tour, history exhibits, artists’ installations, and a vivid imagination are all you’ll need to feel the history that emanates from the walls. A very knowledgeable tour guide also led us through portions of the building. Stay tuned for video clips from Eastern State Penitentiary. Are you looking for a more in-depth history of the penitentiary? Visit http://www.easternstate.org/history-eastern-state. The penitentiary is open every day from 10 a.m. to 5 p.m., with the last entry at 4 p.m. Don’t plan to visit on Thanksgiving, Christmas Eve, Christmas Day, and New Year’s Day, when the facility is closed. Granted, you won’t have a full 24 hours to tour historic Philadelphia, when you factor in time while you’re sleeping, but in a brief period of time, you will get a taste and feel what makes Philly so interesting. Allow some time to relax and catch your breath. There’s no need to rush, and realistically, who can say how many days, weeks or perhaps even months you’d need to see everything Philly offers? Move at your own pace. Visitphilly.com graciously arranged my visit and also provided me with information that helped immensely when we were mapping our 24-hour visit. Feel free to reach out to the staff as you are planning your trip to Philadelphia. 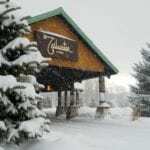 In the heart of Altmar, NY, only a stone’s throw away from the banks of the Salmon River, is the Tailwater Lodge, one of The Woodbine Group’s signature properties. The Woodbine Group is a privately-held family-run commercial real estate holding and development company based in Syracuse, NY, with strong ties to fly fishing. While the Tailwater Lodge has already received rave reviews from anglers who flock to the region for world-class fishing, Phase I, completed in 2014, was only the beginning. Robert Bijess, Tailwater Lodge resort manager said management realized the current lodge needed additional space to offer other activities and events that compliment a great fishing experience. Phase I architectural firm, Edwin I Harrington Architects, was back on the scene to lead the design team for Phase II that was completed in 2016. Charity Buchika, interior designer also returned. One of the hallmarks of The Woodbine Group properties is the company’s commitment to the preservation of under-utilized properties. The former Altmar School is a prime example of well-thought-out design and the use of repurposed materials. “We are working with the same architects and interior designers who worked on the existing lodge,” said Bijess in 2016. Among the many notable must-see elements of the new addition are repurposed timbers that have been incorporated into the overall design. Six exposed beams that weigh 1,000 pounds each were used, according to Bijess. “They are beautiful solid pieces of lumber that are exposed. So again, the addition will have the same feeling as the rest of the building,” he said. Guests will undoubtedly find the Tailwater’s decor to be a mix of astounding comfort with that “lodge” feeling you would expect. What’s new at the Tailwater Lodge? With Phase II completed in 2016, the Tailwater Lodge can now offer its guests “The Barn” as a setting for their upcoming events. 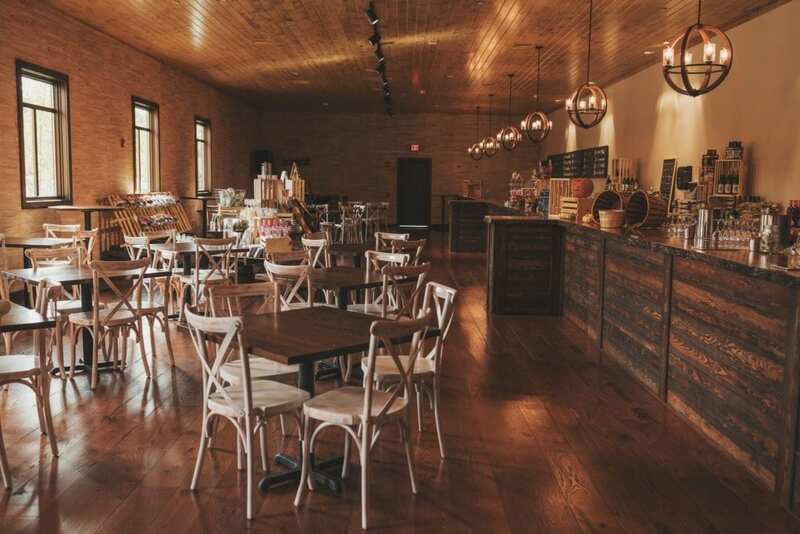 Weddings and rehearsal dinners, anniversary parties, family reunions, corporate meetings, and gatherings are among the opportunities you’ll have to experience in the Tailwater Lodge’s newest space. Event specialists are also available to help you create a signature afternoon or evening party. One of the highlights is a ceiling constructed using rough-hewn beams, which further enhances the open, airy setting. On-site catering, full bar service, silverware, crisp linens and of course, the Tailwater’s mouth-watering meals can be tailored to meet your needs. Follow this link to learn more about the barn. Experience 24 beers on tap, an extensive wine list and gourmet meats and cheeses in the Tailwater Lodge’s premier tasting room. 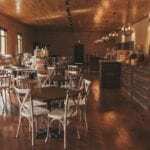 Large and small groups, ranging from 350 to 400 guests, as well as couples and traveling folks, will find The Tasting Room a welcome offering before or after a day of outdoor activities. Out-of-town guests will truly delight in the overnight accommodations. 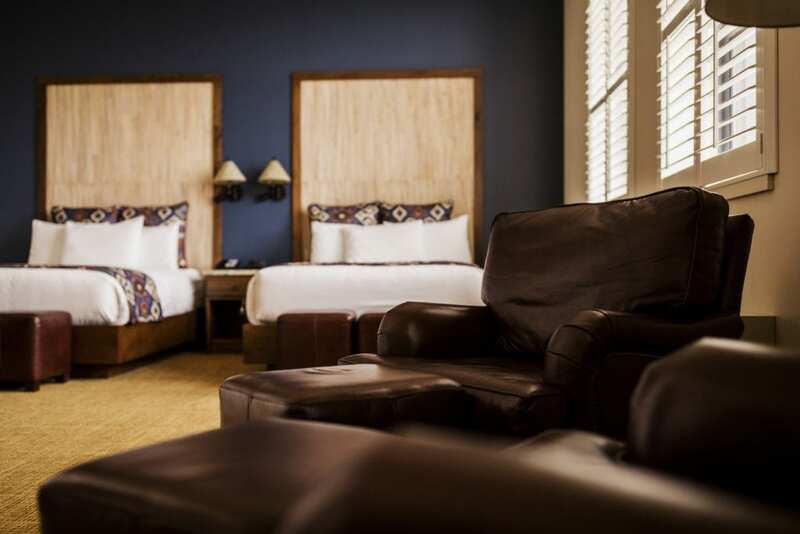 The furnishings in each guest room are crisp, clean and extraordinarily gracious. Find a moment to relax in the light-filled rooms. To help you feel at home, guest rooms feature a refrigerator, free high-speed wireless internet, flat-screen cable TV, and a hearty, complimentary hot breakfast. The glass-enclosed shower stall is one of my favorite features. Upon my return to the lodge after a day fishing in the Salmon River, I also found the locker room and wader wash area to be extremely convenient. Management has crafted a lodge with its customers’ needs in mind. This 75-year-old fully-renovated school is an ideal setting for a romantic getaway. Whether you’re a couple who longs for an afternoon fishing together, hiking, birdwatching, or whatever interests you share, the Tailwater Lodge has been revamped with romance in mind. Arrive on a Friday night and usher in your weekend with a meal in the lodge’s restaurant. Awaken Saturday and Sunday morning to a full breakfast. Order a picnic lunch upon your arrival and you’ll have a meal to take with you on your travels. Altmar and Pulaski, NY offer many scenic spots where you can create new memories. Request travel-related information here. 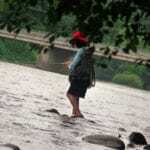 Non-anglers can also enjoy all the Salmon River offers. Try tubing or a canoe or kayak trip. 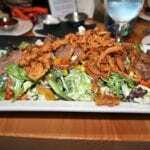 A steak salad you won’t want to miss. 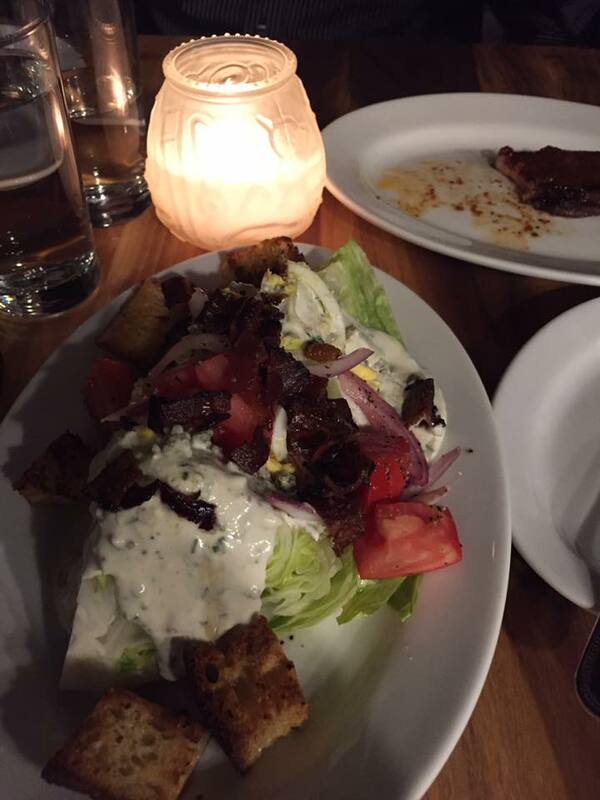 I’ve ordered this salad as an entree with soup as an appetizer or as a lunch selection. Our family dined at the Tailwater after a day of fishing in the Salmon River. 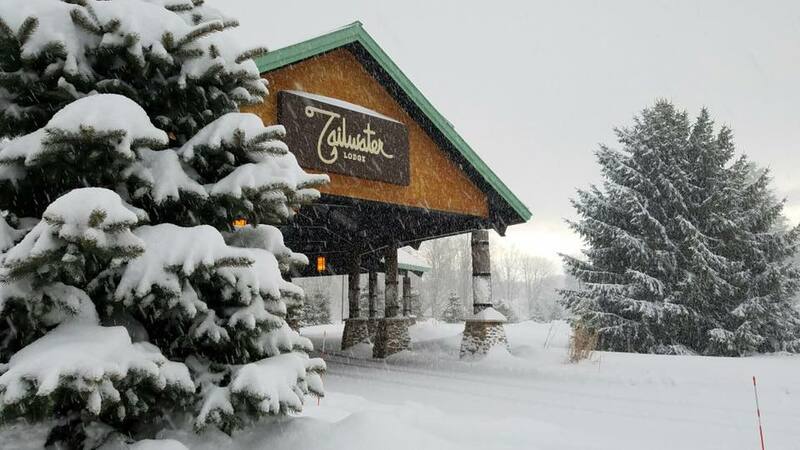 The Tailwater is a four-season resort with plenty of activities to keep you busy year-round. Phase II includes a “Tasting Room” where guests can mingle and sample a variety of beer and wine. To view additional photos of the Tailwater Lodge, visit tailwaterlodge.com/dining. Read what other travelers have to say about the Tailwater Lodge at TripAdvisor. You can also book online. My stay was comped but my opinions are my own. It was 4 pm and the African sun was just setting. The weather was hot and the crowd at the airport pressing. Conversely, I was enjoying myself and was soaking in the new environment like a sponge. We were in Calabar, a major tourist city in Southeastern Nigeria renowned for its beauty and hospitality to visitors. Earlier, we had been in Lagos, a major port city and the commercial hub of Nigeria. While Lagos had been a mix of all elements of humanity, Calabar was calmer to the eyes clearly. We had just finished a business conference in Lagos and wanted to tour some parts of this great African nation before returning to the U.S. Personally, I wanted to see the famed Obudu Hills and the accompanying cattle ranch. My colleague, Tom and I cleared through customs and headed for the cab area. We already had a pre-arranged cab waiting for our arrival. This wasn’t my first visit to Nigeria or Africa. I had visited Kano, Sokoto, Abuja, Enugu and Port Harcourt and have come to realize that Africa was indeed a beautiful continent with its amazing wildlife, the mind-blowing terrains and vistas, the people and their vast but peculiar culture, and the many local delicacies. It was too much; I now understood how the European explorers must have felt in those great years of exploration. There was just so much to see in the world and I was determined more than ever to build my savings and go into traveling and touring fully, not for money but for the joy it gives to the soul to be able to enjoy so much freedom and see the beauty in the world. It will make you appreciate being alive. We finally saw our cabman – his name boldly emblazoned on the placard he was carrying. His name was Ekong; the young man was all smiles and welcomed us profusely to his city and his cab. We couldn’t help but return his enthusiasm. After some small talk, he loaded up and we moved from the airport. We were to lodge at LeMeridien International Hotel in downtown Calabar and then continued on to Obudu the following day. From what I could see of the city, it was well-thought out and planned, the roads were good with small trees planted on the intersection between the roads. The atmosphere had become cooler, too, and in less than an hour, we were at our destination. The hotel was a very nice one with an outstanding reputation. We were booked into two adjoining rooms. I settled in and took a shower before calling Tom to ask how it was at his end. We agreed to rest a bit before heading down to the intercontinental restaurant to have some dinner. At dinner, we met two European couples headed for Obudu and we quickly became friends. The food was good and the talk was even better. I was enjoying myself to be honest….there’s nothing more enjoyable than relaxing in a totally different environment from what you were used to. We left the following morning for Obudu; our new friends were in different cabs and following closely. The scenes were varied – small towns, villages, narrow tarred roads with much vegetation on the sides and a lot of open spaced highways. The terrain was lush in some areas and sparse in others, hilly in some and flat in others. It was a beauty to behold and we took a lot of pictures. After about 2 hours and 30 minutes, we drove up to a sign showing “Obudu Cattle Ranch and Resorts”. We had finally arrived it seemed. We drove through the arched sign and down the road; I must say the landscape of Obudu is mind-blowing. It was simply plain to see, the winding road network, the hills, the plains, the lush vegetation, the atmosphere, the weather which was cool and the beauty of the resort itself. The resort was a very large one and had so many wonderful facilities. The lodging was wonderful and we were booked into a lovely two bedroom suite that had a view facing the hills and mountains in the distance. I couldn’t take enough pictures, we had three days of awesomeness to enjoy in this place and I was very eager. During lunch, I tried out the local delicacies and especially enjoyed a soup called “Edikaikong.” Anybody visiting Calabar is encouraged to try this soup. We later met our tour guide, Joseph, and he outlined our tour schedules. We had cable car rides, hill climbing, trail hiking, nature walks, golfing, horse riding, and animal sightseeing. It was fun and I am not sure I can put it all down in writing. Three days of relaxation, good food, and soul-calming fun and activities, I didn’t want it to end. The experience was better felt firsthand, the food was a lovely experience and the people were wonderful. 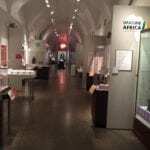 I know Nigeria as a country that doesn’t have a sterling reputation but I will encourage any traveler or tourist to try out the sights and sounds in this popular West African country. Travelling is fun, liberating and educating, nothing inspires the mind and soul to be able to experience the peculiarities of different environments and enjoy the positives in them. I believe life is a journey and traveling, the spice of this journey of life. You can learn more about Nigeria when you visit this link.